Whenever we go, I’m always looking for the murals in the area. They are beautiful. They sometimes tell a story of the town. Most of these stunning wall murals can be found on the side of buildings. Some are just art, but are faded because they were used to advertise local businesses and show the towns history. 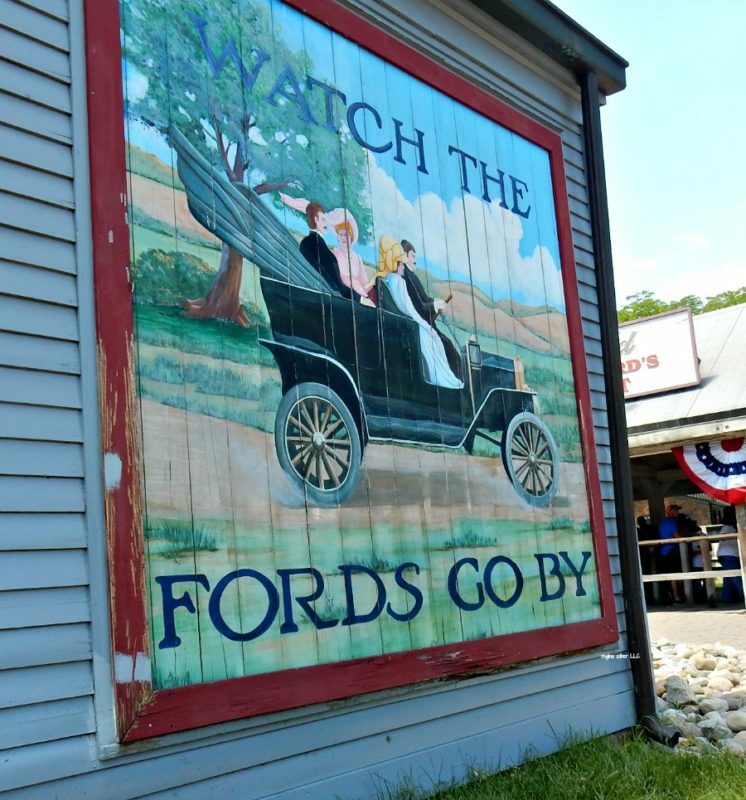 Michigan has some beautiful murals, I’m sharing some of my favorites from my travels. but what is a mural? A wall mural is artwork that is painted or applied to a wall or ceiling. Yes! Some of the most beautiful murals have been painted on ceiling too! (the Sistine Chapel’s ceiling mural was done by Michelangelo). I usually find the murals when I get lost driving where every I am. Honestly. I come across some stunning murals I would not have seen otherwise. Wall murals are usually located on the sides of buildings that face the street. You also find them on buildings facing parking lots. Sometimes you have to look up to find the older wall murals. They can even been on backs of buildings. They may be simple, but some are stunning wall murals with intricate details. 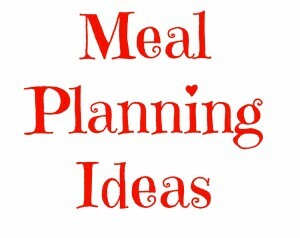 Look at the the activities you can do in Battle Creek Michigan! 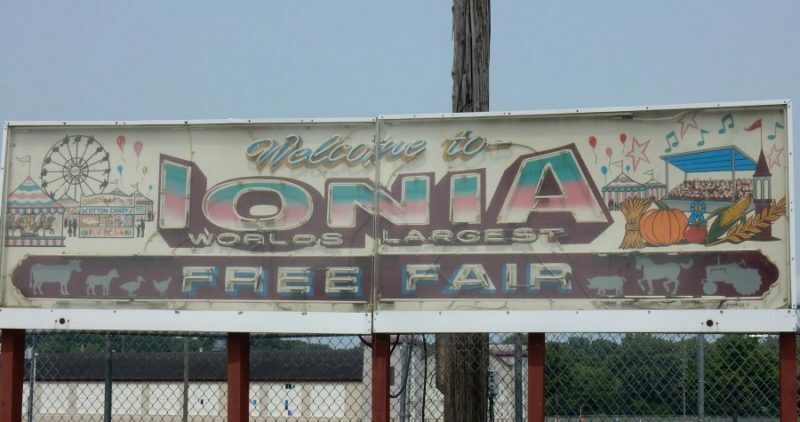 Have you been to Battle Creek Michigan during the balloon festival? Something to check out. 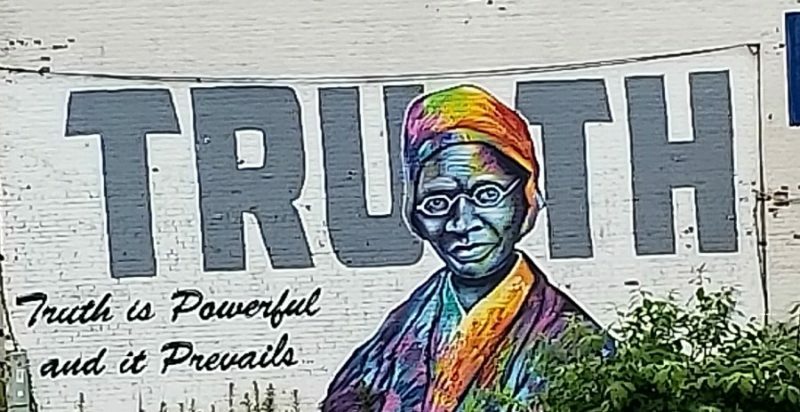 In Battle Creek, you can find the Sojourner Truth wall mural. 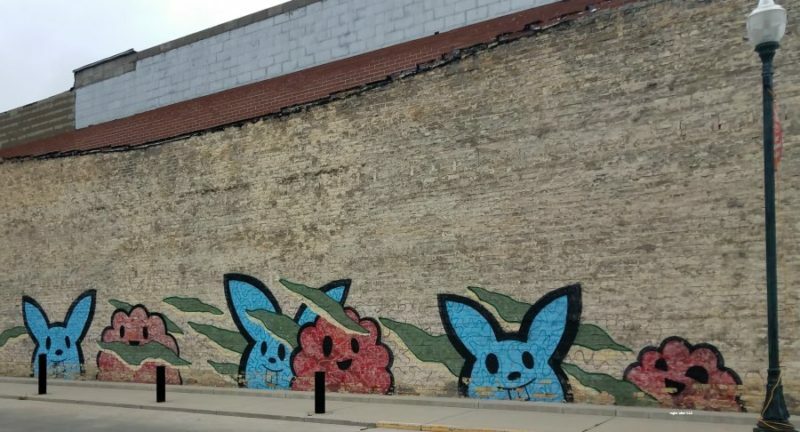 I found these two murals by accident when driving around in circles in downtown Bay City. Beautiful Liberty mural in Bay City Michigan. 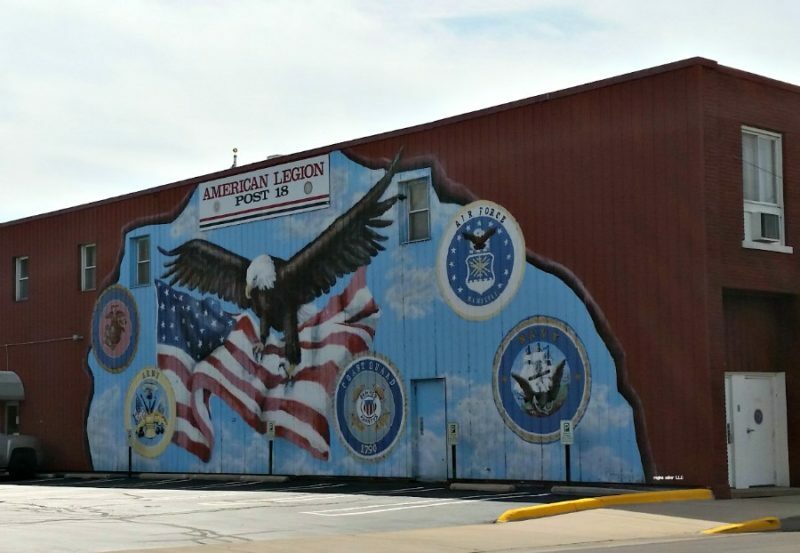 Look how the American Legion decorated their building. Very patriotic mural in Bay City Michigan. Some fun street art on the wall found in Cheboygan Michigan. 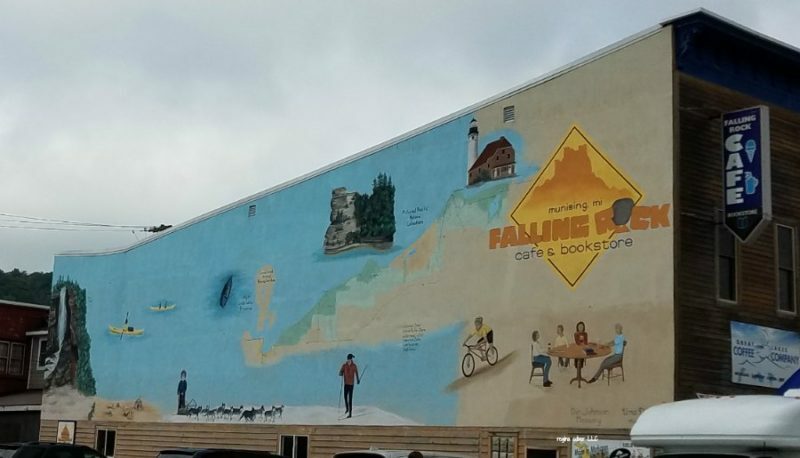 For Escanaba’s wall murals you’ll need to look up. They are on the upper part of the buildings downtown. 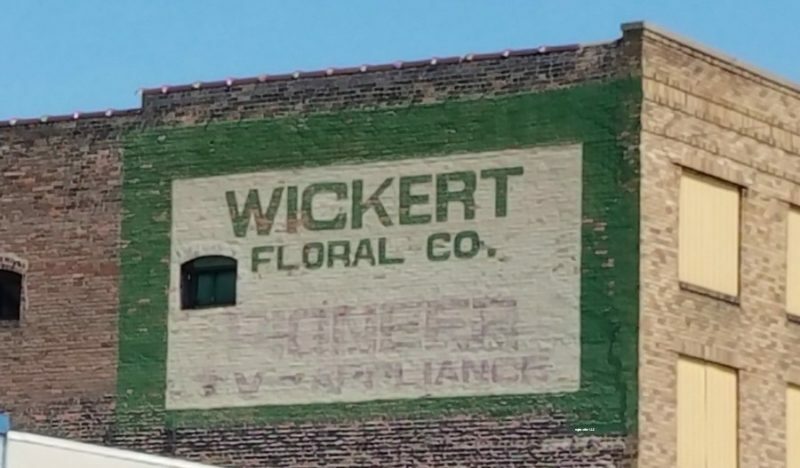 Old business murals remind us of what was once in town. Like this advertisement in Escanaba Michigan. 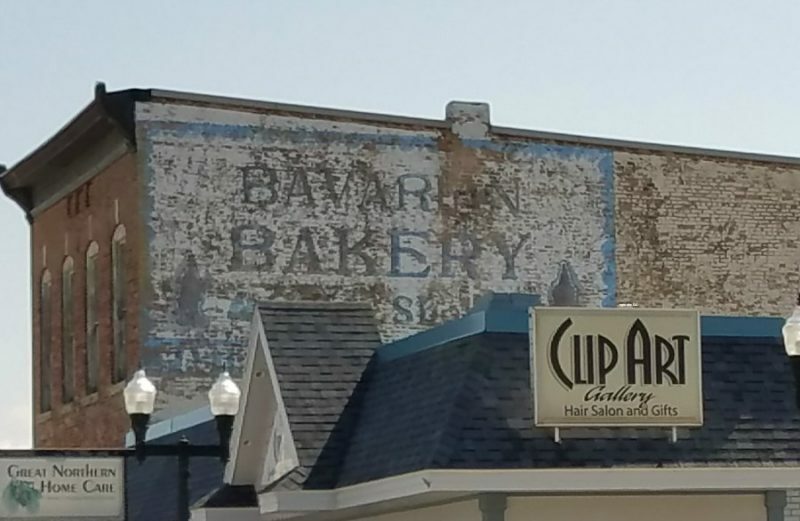 An old bakery was once here in Escanaba Michigan. 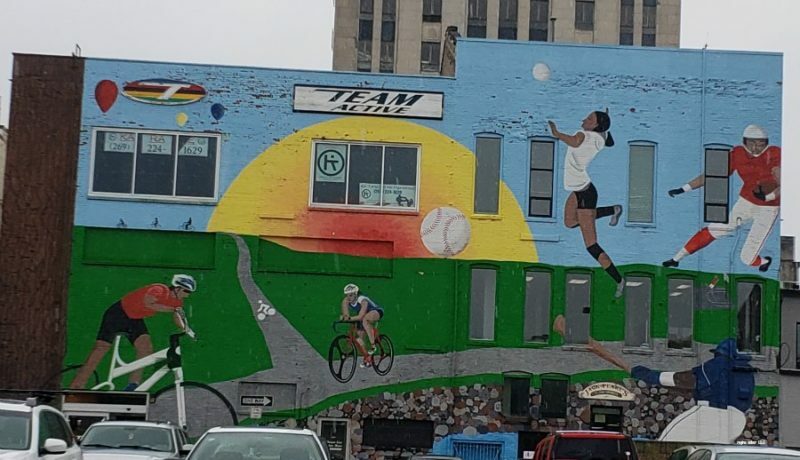 Beautifully bright, this wall mural in Evart Michigan can’t be missed. 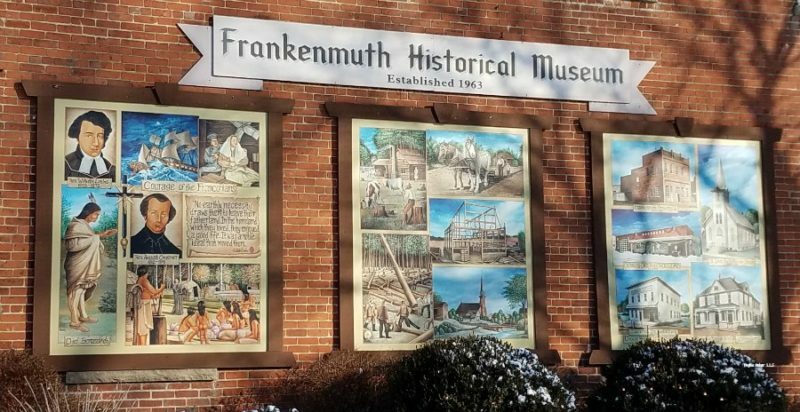 Located on Frankenmuth Michigan’s Historical Museum, you’ll see this mural showcasing the towns history. This mural pops out of the ‘space’ it was painted it giving it some character. 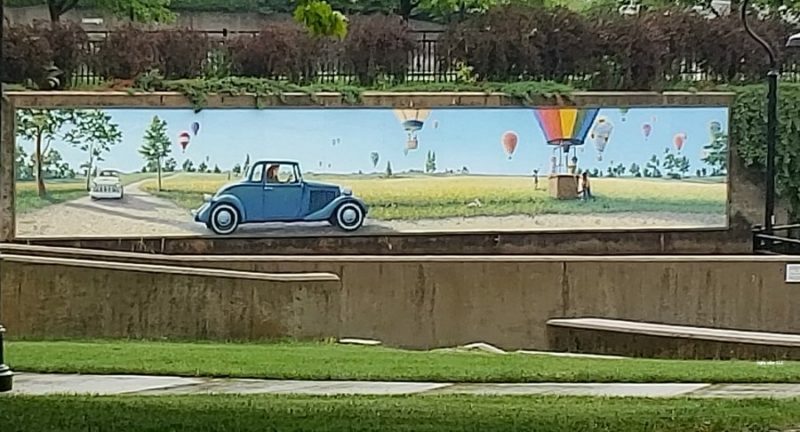 Even Greenfield Village has murals! Old advertisements are a reminder of our history. 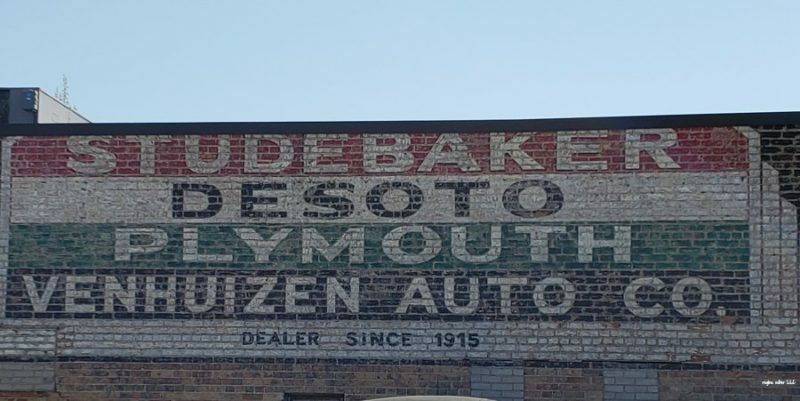 LIke this Studebaker sign in Holland Michigan. 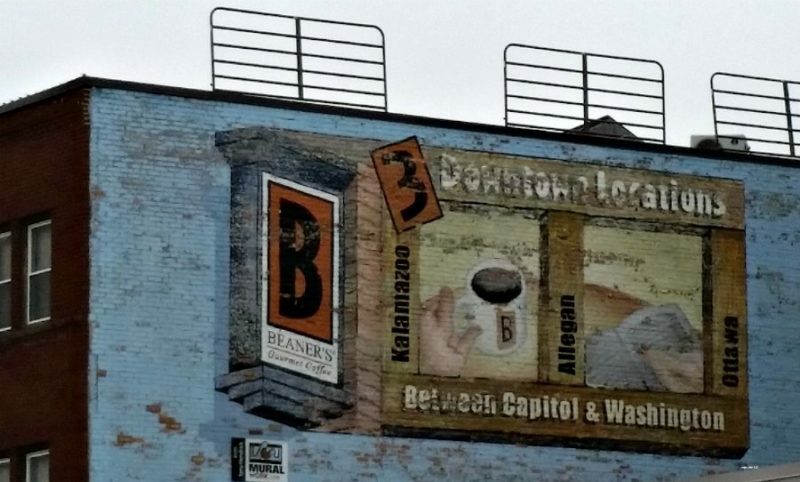 Look up in downtown Lansing for this mural for Biggby’s. Lansing Michigan. Located on the side of the REO Olds Museum building near the back, you’ll find this mural in Lansing Michigan. 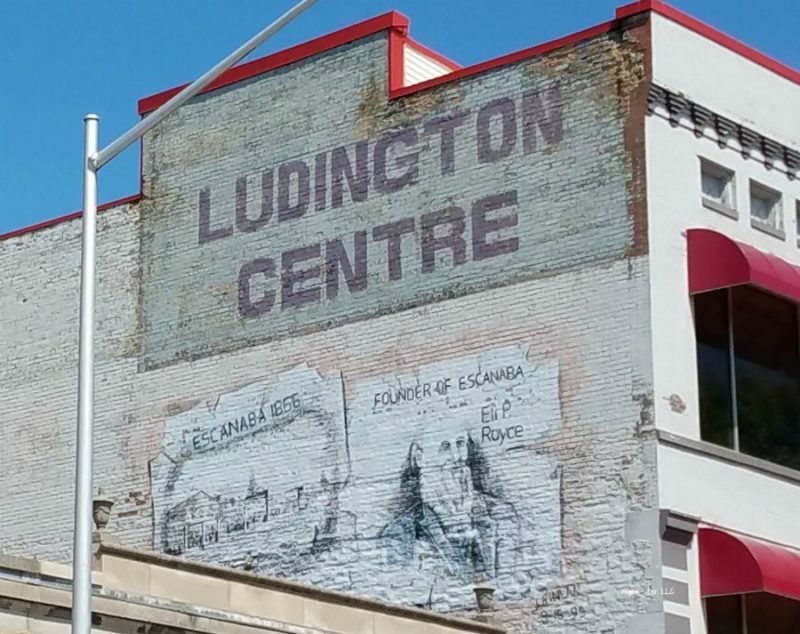 Ludington has many gorgeous murals, like this one. Waters Edge. 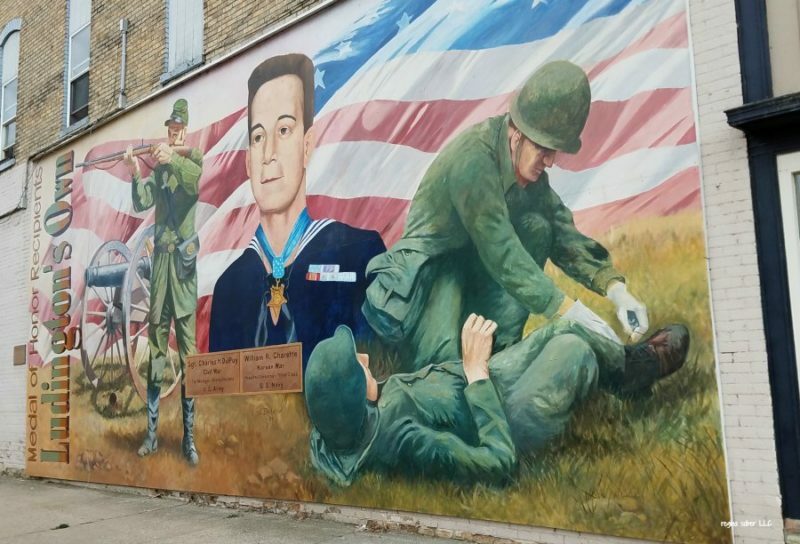 The Michigan Metal of Honor recipients mural is in downtown Ludington Michigan. 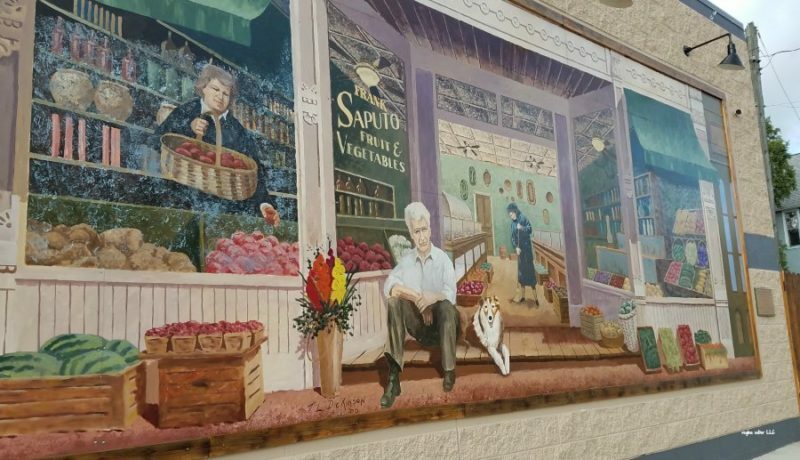 Check out the details of this grocery store scene in Ludington Michigan. 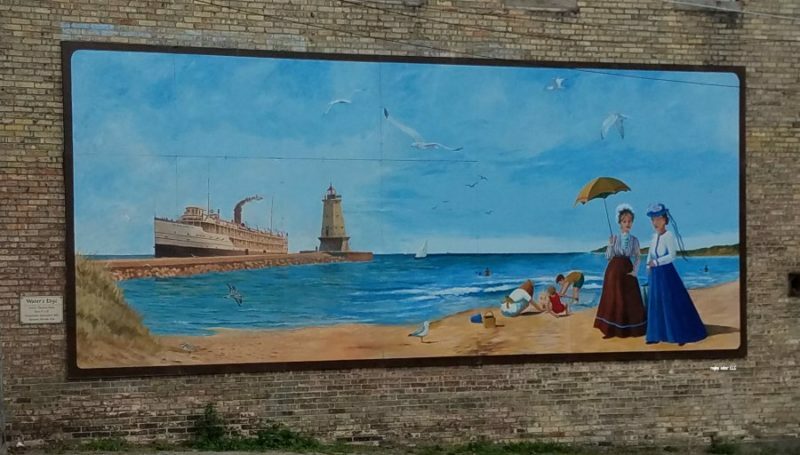 Father Marquette is depicted in this mural in Ludington Michigan. Downtown Munising near the dock for the Pictured Rock tours, you’ll find this mural. 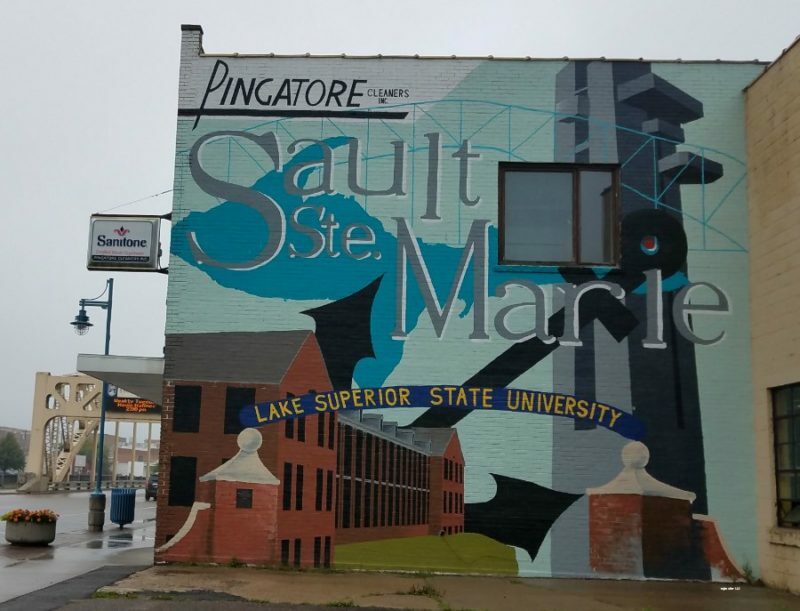 In Sault Ste Marie Michigan, you’ll find this stunning wall mural as you enter town. The Long Ship Motel in downtown Sault Ste. Marie has this on the side of their building. This long mural is located across from the Sault Locks in Sault Ste. Marie (Michigan side). What stunning wall murals am I missing? 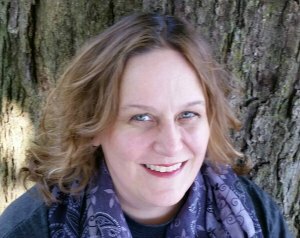 This is a great post and just because I live in Michigan! Few see the beauty as they are walking the streets and I love to see the murals that highlight towns and cities. Thank you for sharing! I’m always looking for murals wherever I go Tammy. I agree, they are beautiful.